The ongoing New Jersey sports betting case is set to begin on December 4. This is great news for advocates of legalizing sports betting in the United States, as this case has the potential to drastically alter the sports gambling landscape, potentially creating legal betting online options for US bettors. Things will kick off with opening oral arguments. If you are following sports betting, you have probably heard of the New Jersey sports betting case. The case began back in 2014 when Governor Chris Christie attempted to pass a law authorizing sports betting in authorized Atlantic City casinos. The move was swiftly met a lawsuit from the NFL, NBA, MLB, NHL and NCAA and halted by government action. New Jersey began the appeals process through the lower circuit courts, losing each time, but somehow managed to land an audience with the US Supreme Court. Their chief argument is that the Professional and Amateur Sports Protection Act (PASPA), is technically unconstitutional in banning sports gambling in 46 states. States should have the right to host and regulate sports betting options should they elect to do so. The major sports leagues obviously have an issue with this because they would be losing out on revenue and fear betting could affect the integrity of the game. However, some sports leagues have begun to embrace the possibility of legal sports wagering. The fact that this case is even being heard by SCOTUS is unprecedented, as they normally hear cases on a larger scale and uphold the rulings of the lower courts. 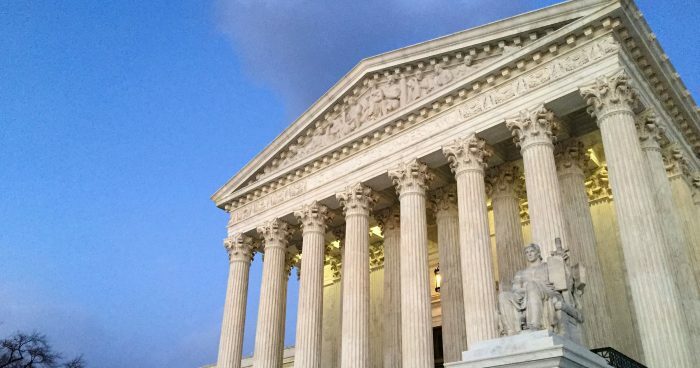 So what would happen in the event of SCOTUS ruling in favor of New Jersey? If New Jersey wins, it is possible that the Professional and Amateur Sports Protection Act will be repealed. If PASPA is repealed, expect the other 45 states affected by it to begin drafting legislation authorizing state regulated betting. In fact, some states have already put drafts up in anticipation of New Jersey winning the case. With professional franchises in now in Las Vegas, the sports betting capital of the nation, it seems that the country’s mindset is gradually heading towards a pro-betting environment. Current US gambling laws permit the use of licensed offshore sportsbooks, which many American bettors are using in PASPA-affected states. If New Jersey comes out on top, the US will likely develop online sportsbooks fashioned after these offshore versions. The case will likely not be resolved until sometime next year, so Americans can continue to use offshore sportsbooks in the meantime for all their betting needs. New Jersey, and other industry analysts, are confident that they will win this case. There is already so much hype around the case, and sports betting legalization in general, that an unfavorable ruling would probably lead to nationwide outrage. Betting is already happening, so why not bring it to the forefront through legalization and regulation? States will benefit off the revenue and fans will get a more engaging sports experience. The NJ sports betting saga gets nearer to its conclusion on December 4, so we’ll have to see what happens from there. This website is for informational purposes only. If you are not 18 years of age, please exit this site immediately. We endorse responsible gambling.